If a single value is profoundly connected with Bayeux, it is that of freedom. It was the first town in France to be liberated on 7 June 1944, and General de Gaulle gave a famous speech here on 14 June. As a centre for the international press, Bayeux would see the rebirth of the first newspaper in liberated France. 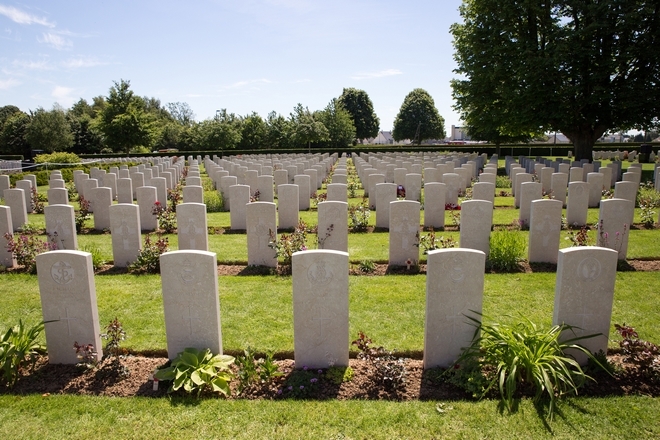 A stone’s throw from the Memorial Museum of the Battle of Normandy on boulevard Fabien Ware, the British military cemetery is managed by the Commonwealth War Graves Commission. The site was assigned by France to the United Kingdom in perpetuity, and contains more than 4,600 gravestones. They show the name and rank of the soldier and the weaponry of his unit. Sometimes the families have added personal epitaphs. At the foot of the graves a small floral garden invites contemplation. This space, unique in Europe, pays tribute to the journalists killed in the exercise of their profession since 1944. Each year during the Prix Bayeux for War Correspondents a new stone is unveiled, engraved with the names of the journalists who have most recently put their lives in peril to open a window on the world and its conflicts. 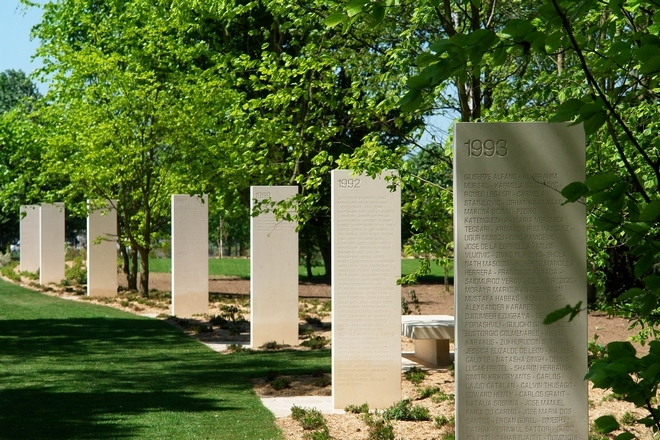 This landscaped promenade, created in partnership with Reporters Without Borders, is marked by 27 white memorial stones naming over 2,000 journalists killed throughout the world.